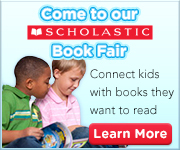 Today is the last day of our book fair – hours are 9-12, 2-4. We will also be open tonight from 6-9pm during tonight’s Family Fun Night/Curriculum Night. The online book fair will continue until May 28. Tonight’s Family Fun Night at Twinbrook ES is from 6:30pm – 8pm and will include the Science Showcase, fun reading activities, and math skills fun at the “Twinbrook Store.” Twinbrook’s great teachers and staff have a lot of good stuff planned for tonight, please stop by.